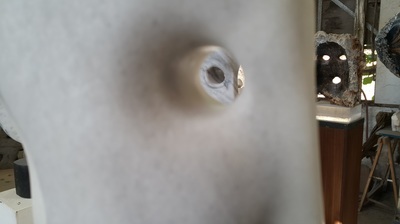 The Exhibition "8@88" which took place in Tel Aviv, was considered a comeback event by the artist David Fine. 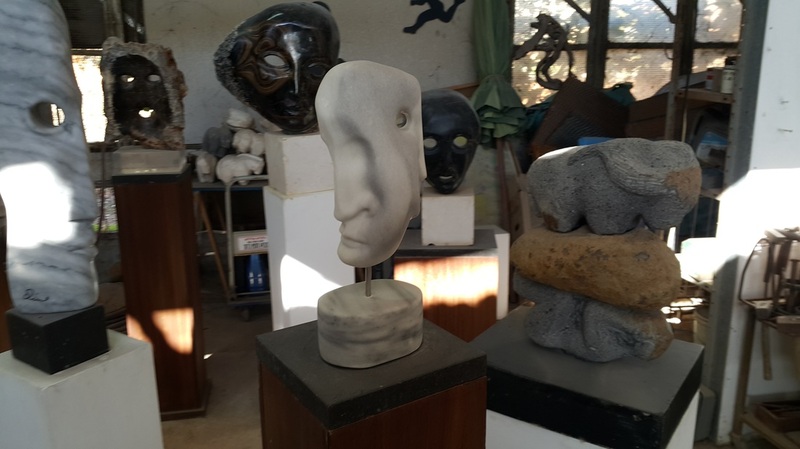 After recuperating from a crippling disease over three years ago, Fine had to work hard to return to his former self both physically and artistically. 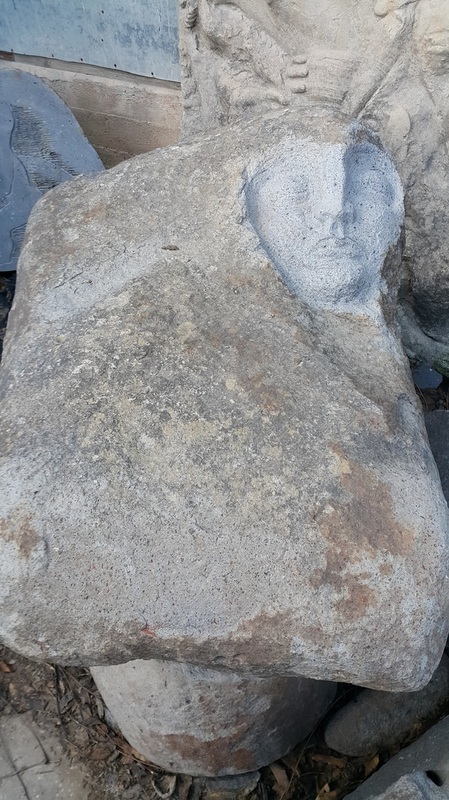 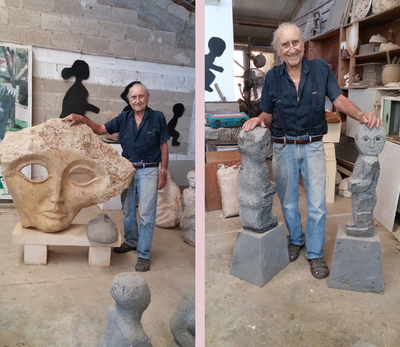 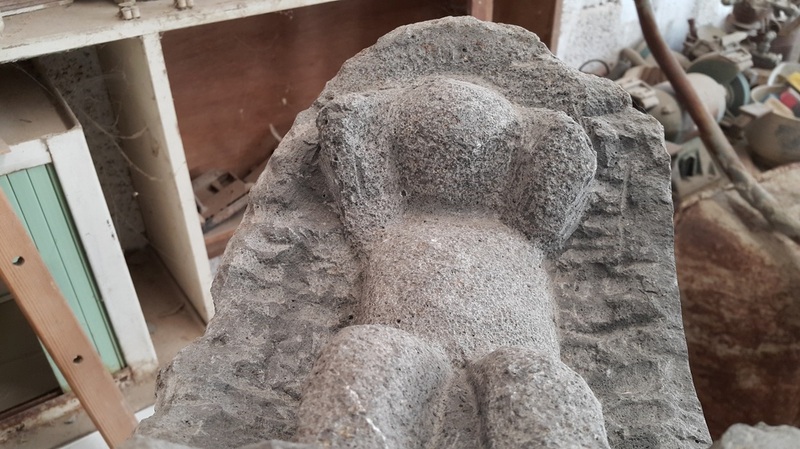 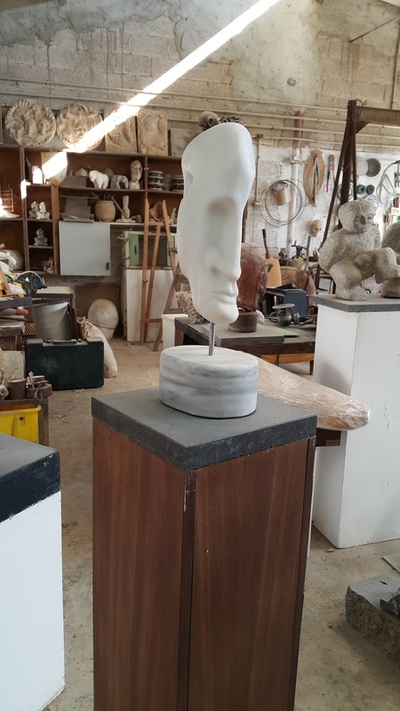 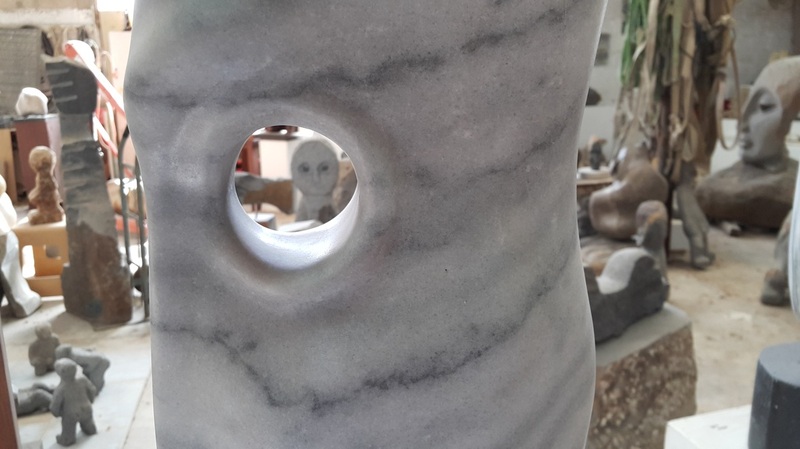 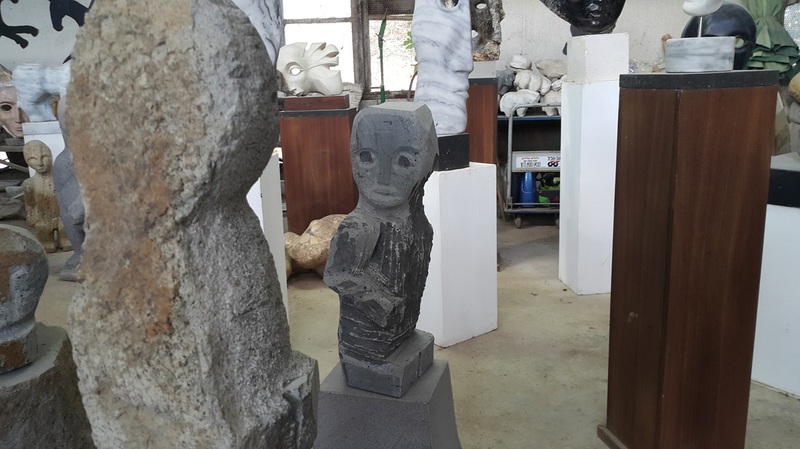 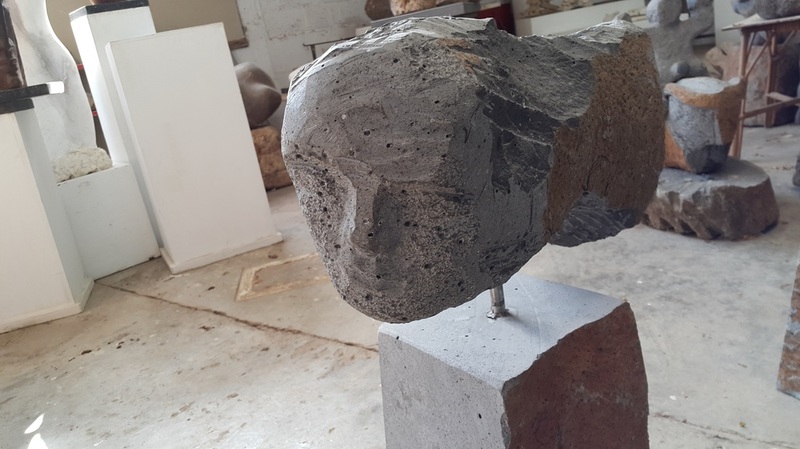 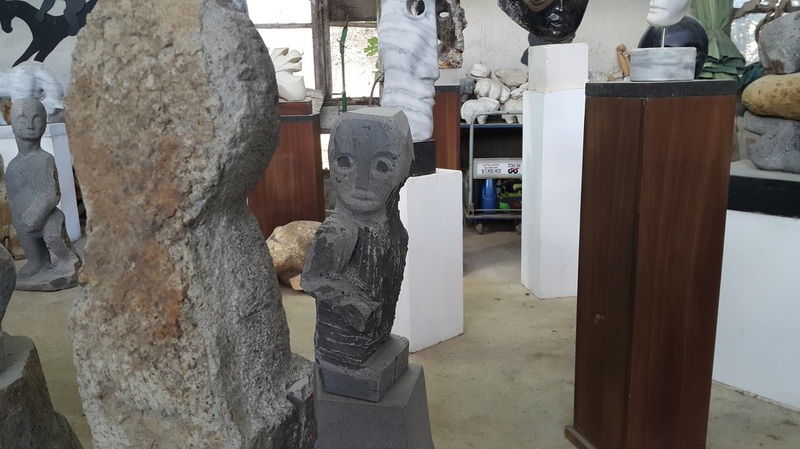 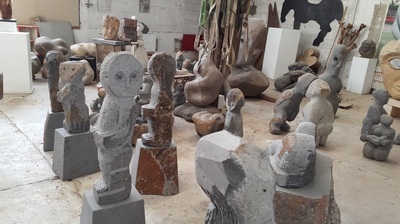 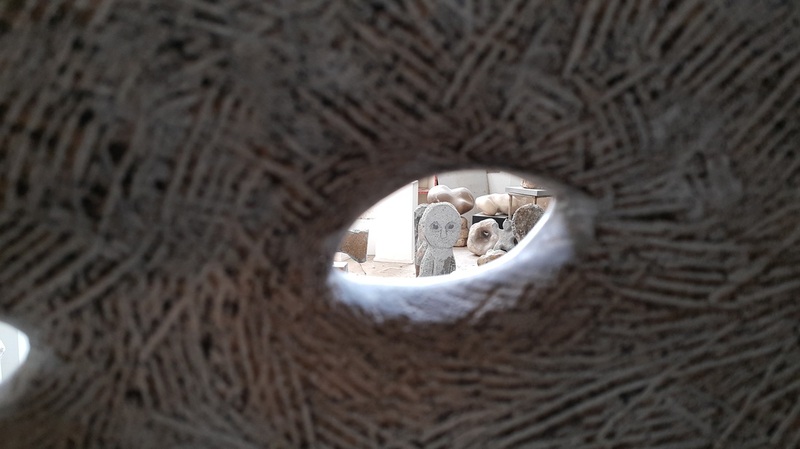 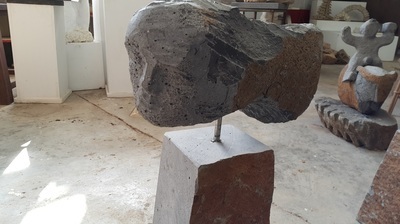 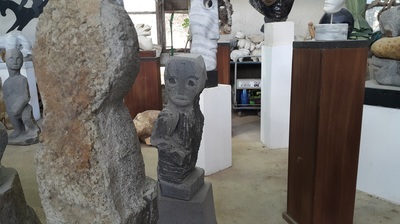 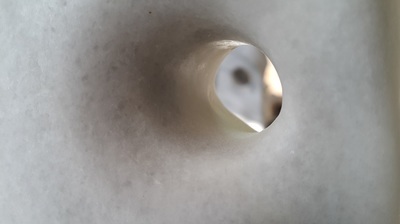 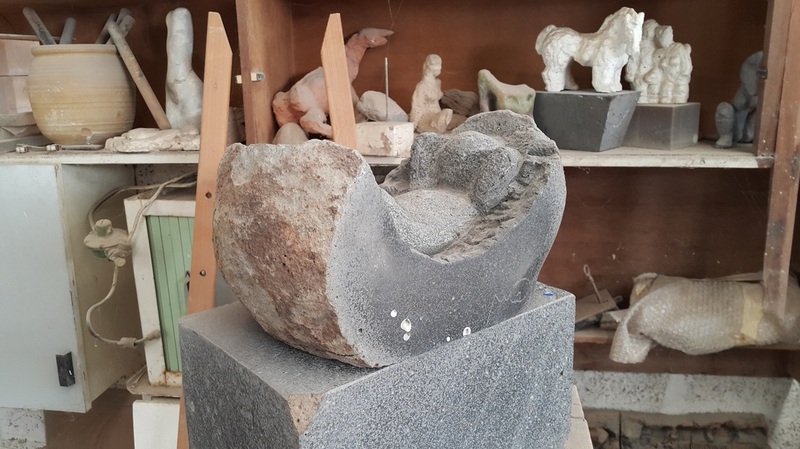 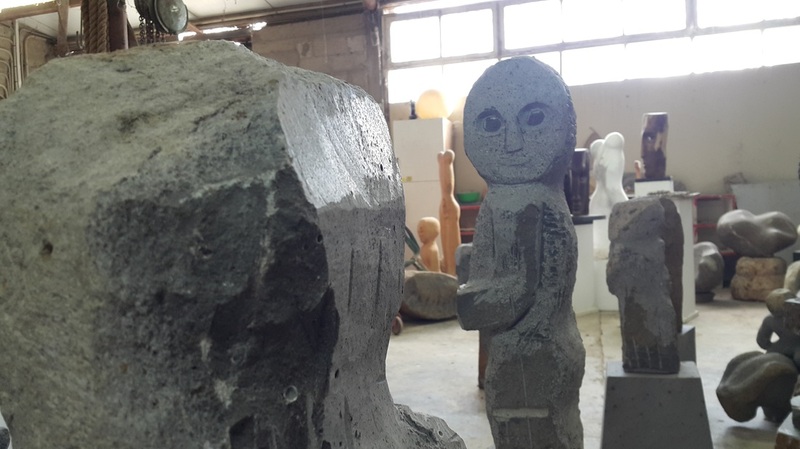 He began by first sculpting on wood, then on marble, until finally gaining the strength to return to his trademark rock, the tough basalt stone from the Galilee mountains; proving that at the age of 88, Fine still has what it takes to reinvent himself. 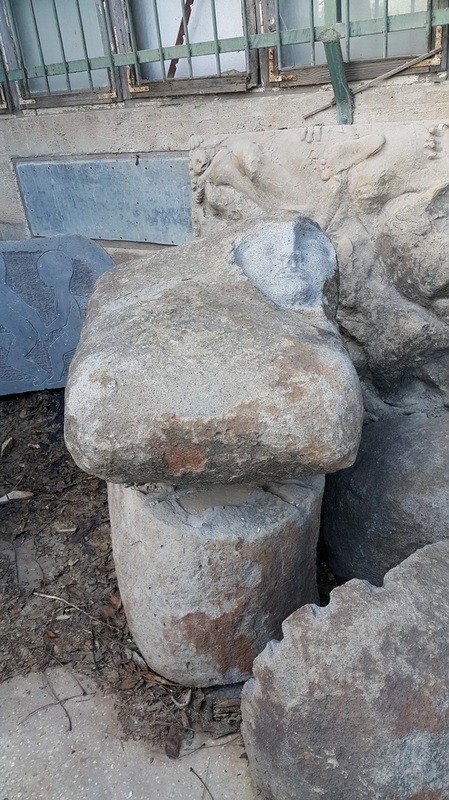 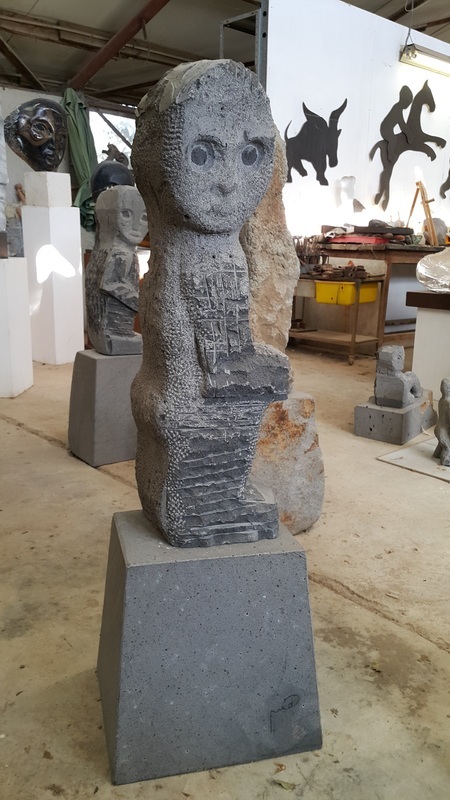 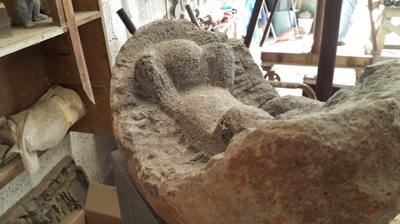 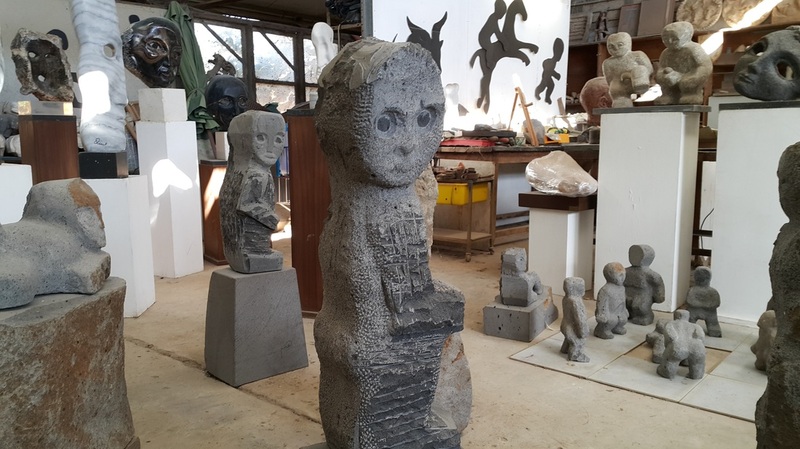 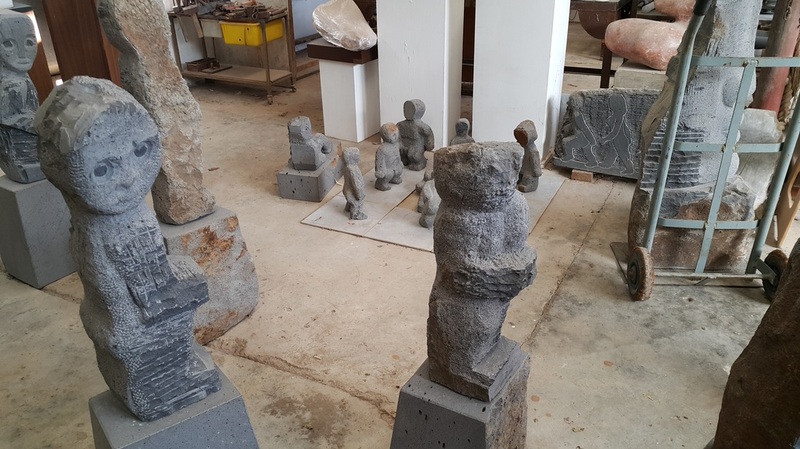 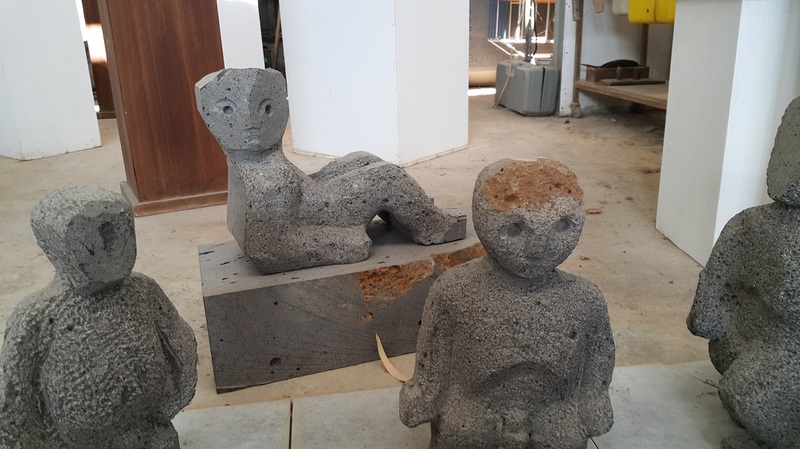 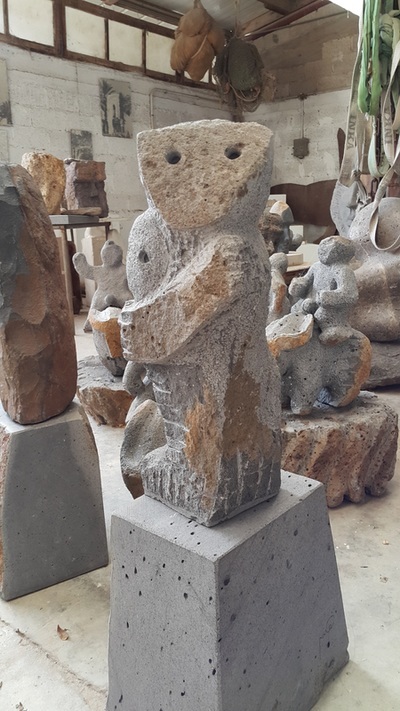 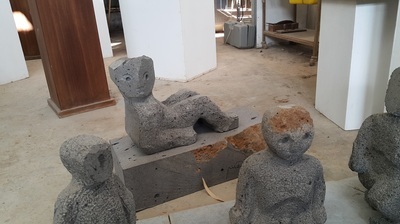 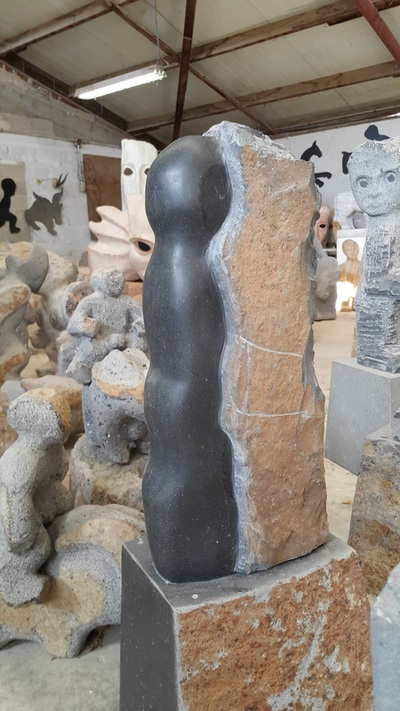 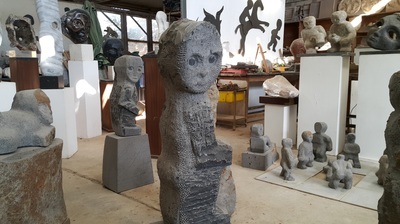 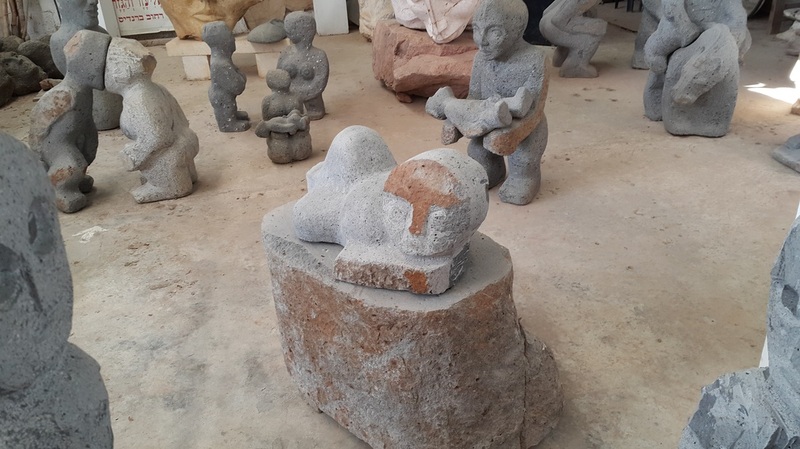 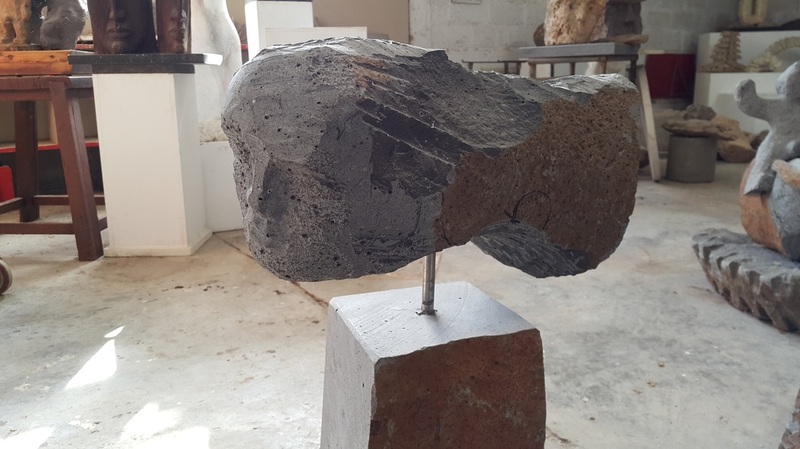 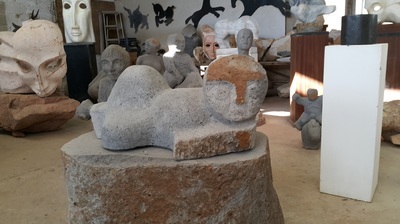 This exhibition displayed 8 new works of basalt sculptures.